I thought I’d start my blog as I mean to carry on, focusing predominantly on photographs. 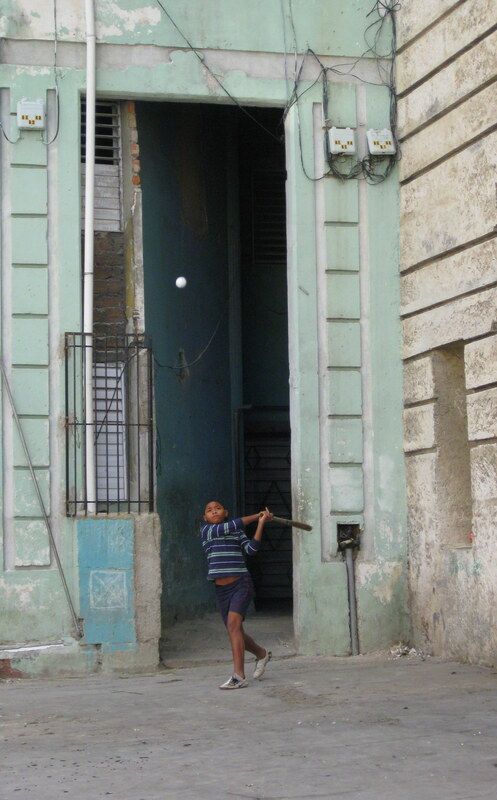 These are a selection of my favourite pictures from a trip to Havana in the winter of 2009/10. 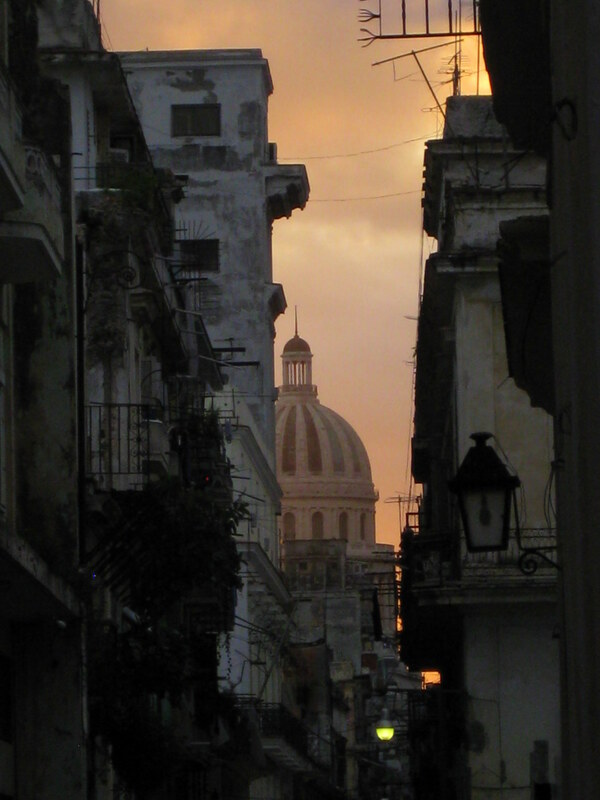 Habana Vieja – the Old Town – is stunningly beautiful and yet at the same time battered and bruised in a way I’ve not experienced in any other city. 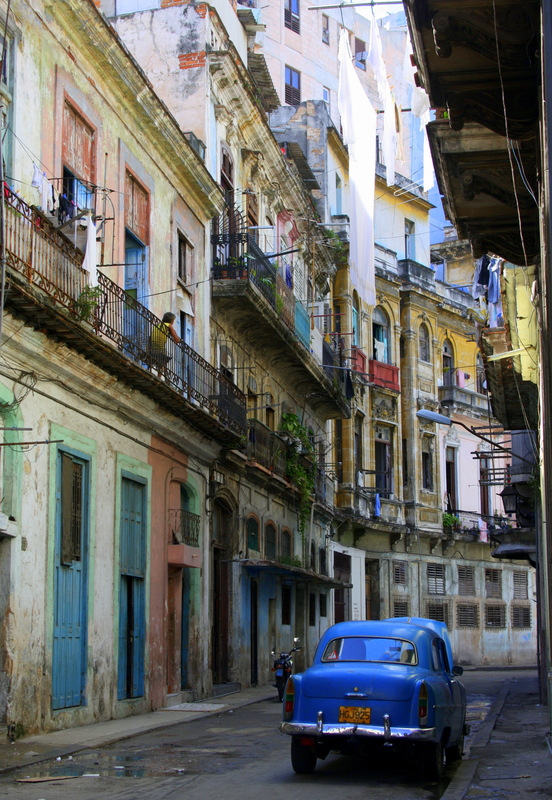 The streets are alive with colour and Cuban jazz, the bars welcome you with free-flowing rum, and the people are friendly and eager to talk about the future of the country they love. 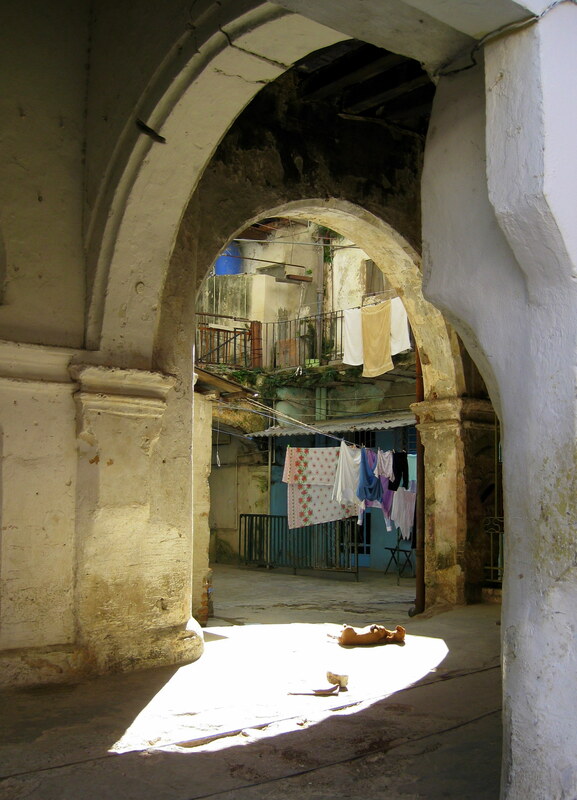 The faded grandeur, of which so many wax lyrical, is not limited to isolated patches – the city is a film set of peeling walls, classic cars and street art. The paladares, daily parades and private casas, while found elsewhere in the world, felt alien and exciting, particularly to someone for whom this was her first experience of a communist state. In fact, it was a trip of many firsts: my first trip to an embassy to collect a visa; my first time queuing with locals outside a bank to exchange cash currency; my first time staying in a village homestay; and my first experience of reggaetón (though I wouldn’t particularly have missed my education into this musical form, which has since been denounced by the Cuban state). However, the food – which I have no doubt will become another regular feature of this blog – was sadly not something to write home about. 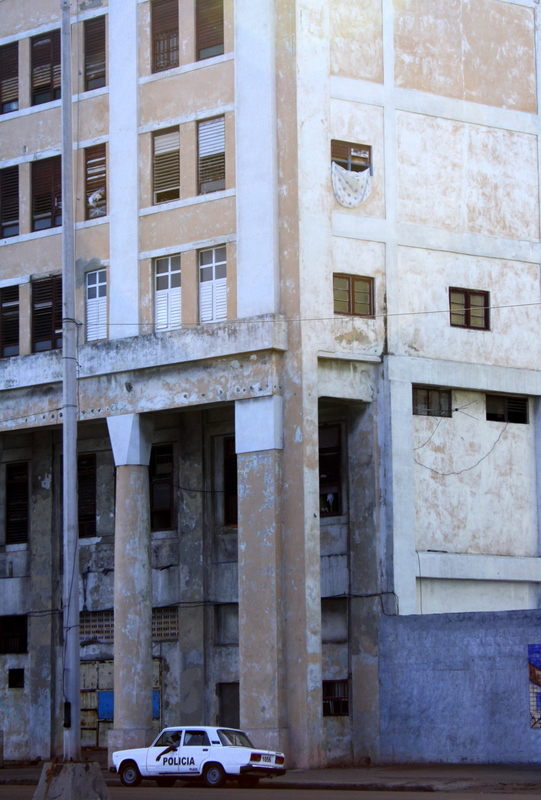 Despite the country’s fertile soil and tropical climate, the socialist policies of the last century have not encouraged farming or the introduction of interesting ingredients to the Cuban culinary scene. Whilst tasty, we quickly tired of the typical meal of black beans, rice and pork. Strangely, though, locals regularly indulged in the velvety-rich and spicy hot chocolate from the cafés near Plaza Vieja, sometimes queuing for half an hour or more for a table. My favourite place was Museo del Chocolate on Calle Mercaderes. And ice-cream parlours are also a permitted luxury, with the largest – Coppelia – claiming to be the biggest in the world and having separate, restricted access for tourists. But if the restaurants are not the place to hang out, the bars certainly are. With salsa, son, jazz, trova or rap to accompany your daiquiri, cuba libre or mojito, you can’t complain. 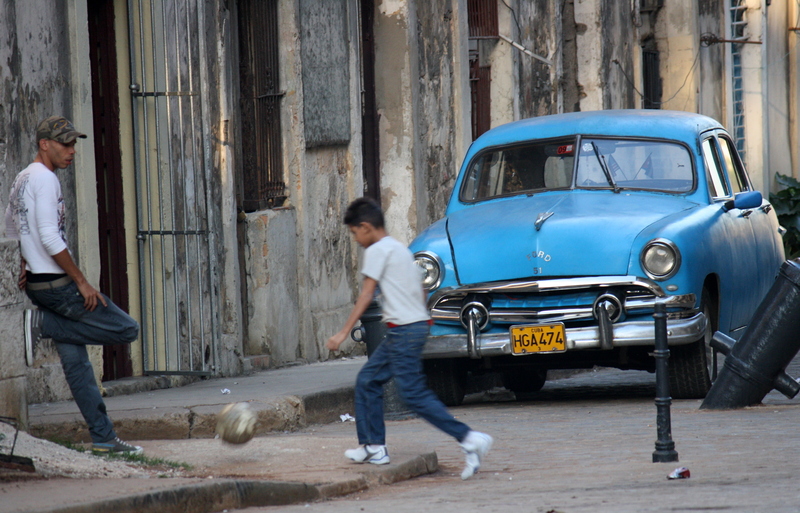 Without turning into TripAdvisor, I’ll end with a few of my recommendations for things to do whilst you’re in Havana, in case helpful at all to anyone thinking of visiting. 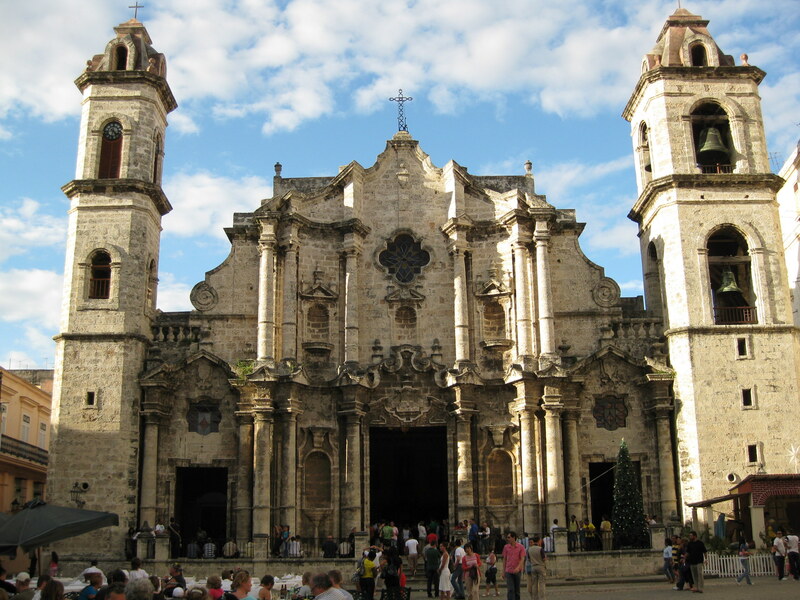 Obviously, the Plaza de la Catedral is a must (with the beautiful Catedral de la Virgen María de la Concepción Inmaculada de La Habana), as is a walk to the statue of Jose Marti and the Plaza de la Revolution. I’d recommend going up to the Camera Obsura, if only for the views from the tower, and a walk along the seafront promenade is great for people-watching. If there is ballet (a proud cuban tradition) or a concert to see at the Gran Teatro de la Habana, I’d also urge you to go. While the outside of the building is certainly more impressive than the interior, it is a great venue and surprisingly light on tourists. One evening we got tickets to see the flautist Maraca, who was performing with the latin-jazz all stars, and it is probably still the best concert I’ve ever been to. 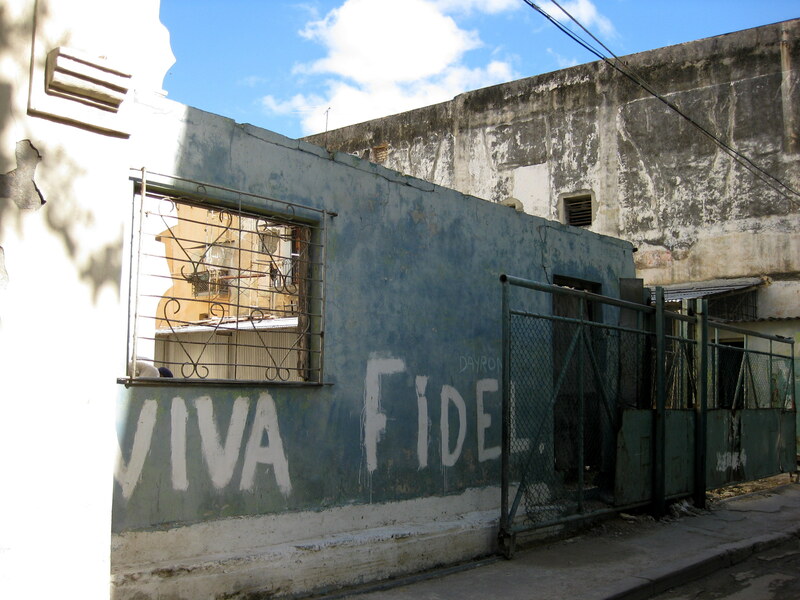 Further afield, we travelled outside of Havana and into the Cuban countryside to Viñales and up the coast to Trinidad, with stop-offs at Cienfuegos and the Che Guevara memorial. But maybe I’ll do a separate blog on those another time, so I won’t dwell on them here. 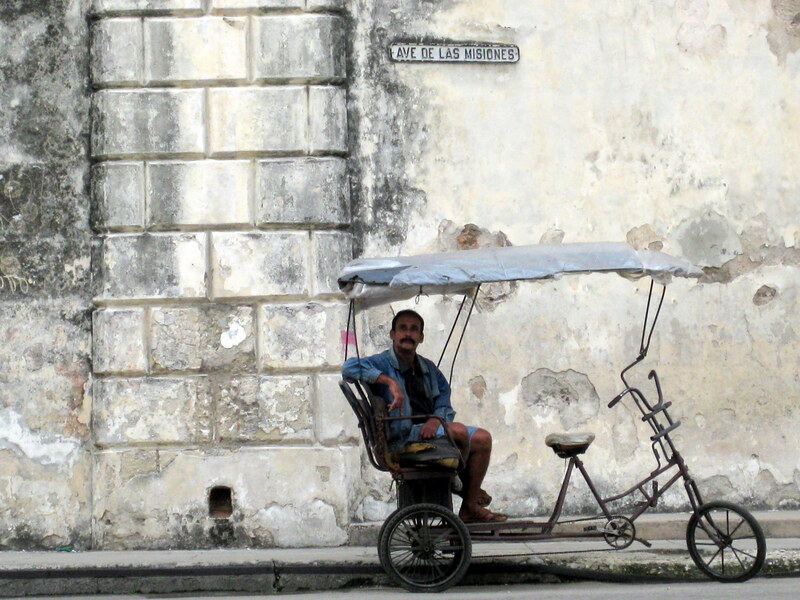 Just to say, though, that I wouldn’t recommend at present – unless things have changed significantly in the last few years – that you use public transport to get around Cuba. The story of a French tourist getting stuck in Viñales with a choice between a six-day wait for the next bus or a $100 taxi fare back to Havana was enough to convince me to take a tour. It is also worth ensuring you choose a company whose guides provide a regular supply of rum for $3 a bottle (though this did cause Paul to miss a rather wonderful horse-riding trip through the tobacco plantations and valleys of the Parque Nacional Viñales). 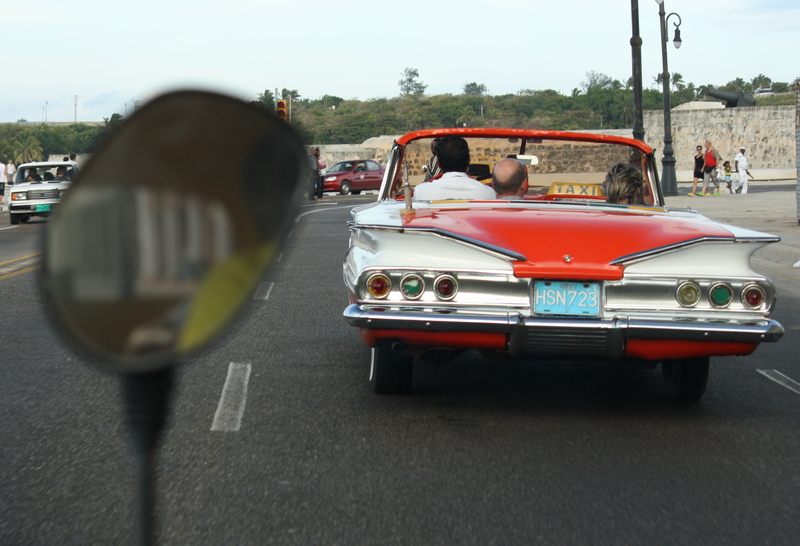 We went with Cuban Adventures and I’d definitely recommend them. Right, that’s it for my first post. Hope it was ok! 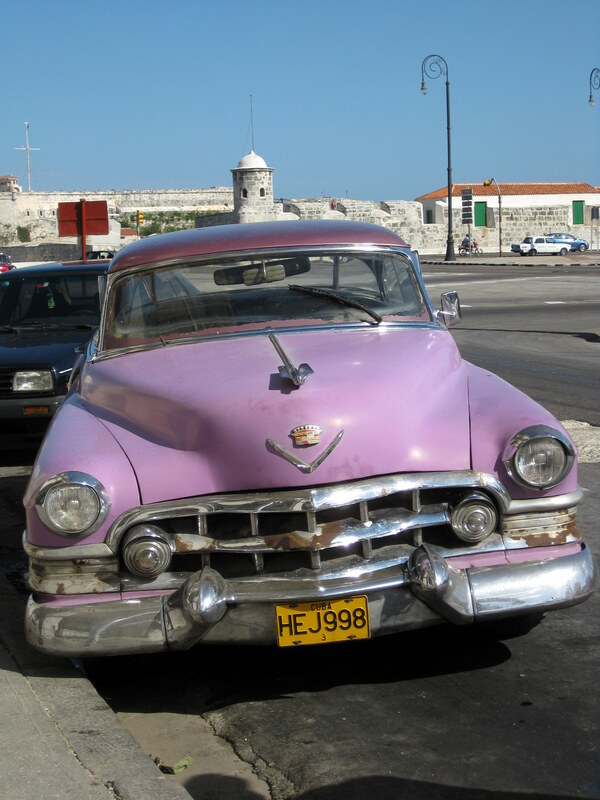 This entry was posted in Travel and tagged Caribbean, Che Guevara, Cuba, Havana, Rum, Street on February 7, 2013 by victoriassecretblog.